Posted on October 11, 2017 by treelawyer	tagged. Although it’s a little late for vacation season, because it is getting cooler (and darker earlier), a roaring blaze in the backyard fire pit may sound like a good idea. As a public service, we thought we’d give all you happy campers a surprising and useful piece of information: campfires can be hot, even when you can’t see flames. Now, you may say, “this is transpicuously obvious!” (especially if you have an excellent command of vocabulary), but alas, this is not necessarily so. Ask the Morrises of Texas. They went camping at beautiful Goliad State Park, taking over a campsite which had been recently vacated by another camper. Their 3-year old wandered into the campfire ring, where the child was burned. Not being folks to look in a mirror and ask why they hadn’t supervised an inquisitive child who was exploring a strange and exciting new location, the Morrises sued the Parks and Wildlife Department for not making sure the campfire pit was cold, and the previous camper for not putting her fire completely out. The Parks Department claimed it was immune from liability under the Texas Tort Claims Act and Recreational Use Statute, but the Morrises claimed the Department and the prior camper were grossly negligent, which – if true – would deny the Department the protection of the statute. The trial court disagreed, as did the Court of Appeals. 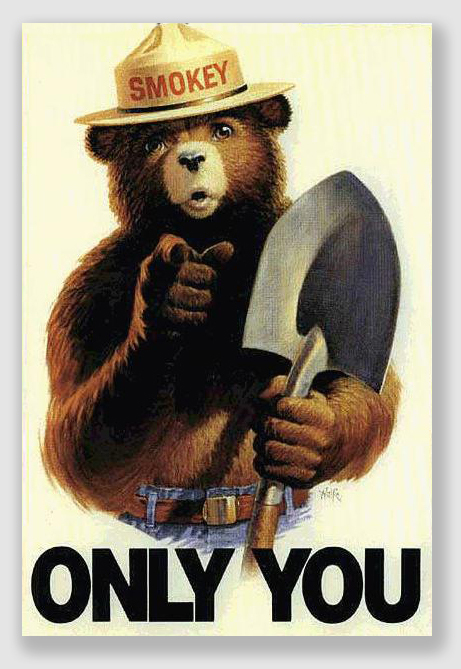 In a decision sure to be denounced by Smokey T. Bear, the Court held that it was socially useful for a prior camper to leave a smoldering fire for the next camper to build on, and anyway, it was sort of foreseeable to the Morrises that a campfire pit might be hot and the kind of place from which you’d want to keep your 3-year old somewhat distant. The Department was found to be immune from suit, and the prior camper left the courtroom a happy but smarter one. She’ll no doubt douse her campfires in the future, just like Smokey advises. Morris v. Texas Parks and Wildlife Dept., 226 S.W.3d 720 (Tex.App., 2007). The Morrises arrived at Goliad State Park, where they set up their campsite. Shortly after arriving at the Park, their 3-year-old child fell into a campfire ring containing hot coals from a previous fire. The toddler suffered second- and third-degree burns requiring medical treatment. The Morrises sued the Texas Department of Parks & Recreation and Sandra Carson — the previous camper at the site — alleging common-law negligence and gross negligence. Carson filed a motion for summary judgment, and the Department claimed governmental immunity as a “plea to the jurisdiction.” The trial court granted both defendants’ motions, and the Morrises appealed. Held: The trial court was right to dismiss the case. As to camper Carson, the Court quickly disposed of the Morrises’ negligence claim. Carson, the Court said, had no legal duty to the next campers to extinguish her campfire. The campfire was left burning in a place designated for fires at that campsite, and it was hardly unforeseeable to the Morrises that hot coals might be found within the campfire ring. The Park did not require or expect campers to extinguish fires left in designated campfire rings. 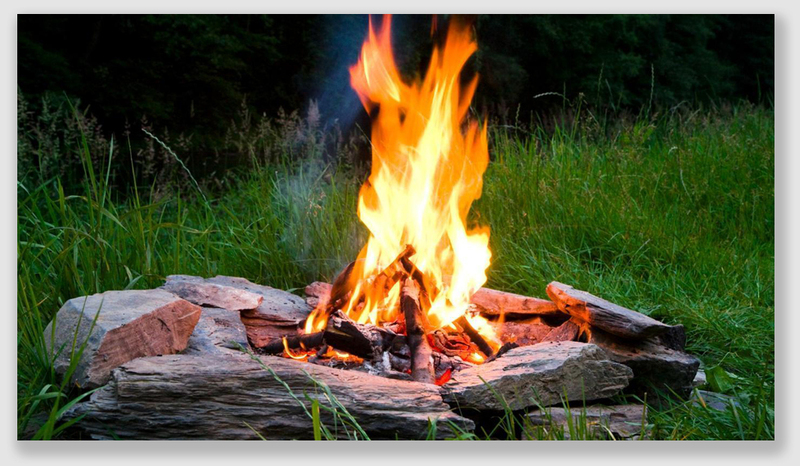 In fact, the Court held, there was significant social utility in a policy that encouraged campers leaving unextinguished fires from which the next camper could start his or her campfire. Yeah, prior camper – I’m talkin’ to YOU. As for the Department of Parks, the Morrises attemped to circumvent sovereign immunity by claiming that the Department was grossly negligent in not inspecting campfire rings to ensure that the fires are extinguished. Under the common law doctrine of sovereign immunity, the Court said, a governmental unit is immune from suit for the performance of governmental functions. The Department had waived sovereign immunity under the Texas Tort Claims Act to the extent specified by the recreational use statute, which is to injuries caused through gross negligence. 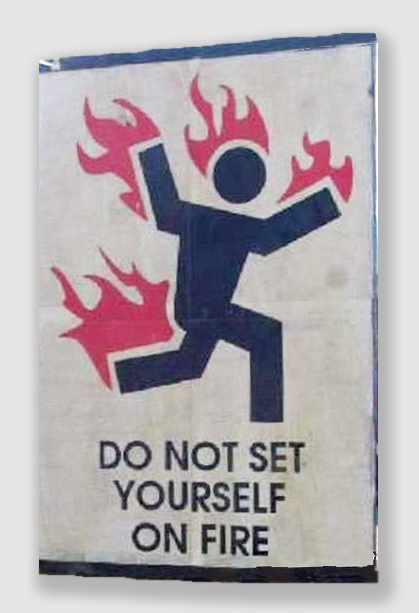 To establish liability for a premises defect — which is what the hot campfire pit was — under the Tort Claims Act, a plaintiff must prove either willful, wanton, or grossly negligent conduct, or that the defendant had actual knowledge of the dangerous condition, the plaintiff did not, and the defendant failed to warn of the condition or make the condition safe. In this case, the Court ruled, the Morrises’ task was more daunting because a landowner has no duty to protect trespassers from obvious defects or conditions. A hot campfire ring from the previous night’s camping was a condition inherent in the use to which the land was put, and thus, the Department had no duty to protect Morrises’ child from the obvious and expected condition. Thus, the Court held, under the recreational use statute there could be no gross negligence on the part of the Department because there was no duty. A substantial part of the case related to the proper venue for the case, a matter of great procedural interest to lawyers but not terribly relevant to application of the recreational use statute.